Gynaecomastia is the medical term that describes the benign growth of glandular breast tissue in men. It is much more common than most people think; occurring in 50% to 60% of adolescents, and up to 70% of men aged 50 to 69 years. In some cases, the appearance of ‘male breasts’ can be a combination of male breast tissue and fat. That’s why our approach to gynaecomastia surgery often involves a combination of excising breast tissue, and liposuction for fat removal. 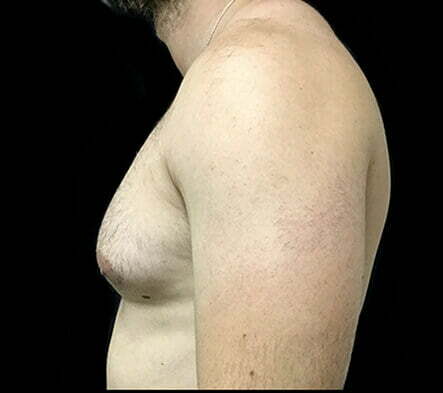 Despite gynaecomastia being extremely common, we understand that it can be the cause of considerable embarrassment and anxiety for men. Gynaecomastia surgery is a popular procedure in our clinics, and we pride ourselves on delivering a discreet, warm and supportive environment to help you through the process. What is involved in gynaecomastia surgery? Male breast reduction can involve a number of techniques, including a combination of either liposuction, excisions or both. If excision of glandular tissue is required, an incision will be made, sensitive to your natural anatomy so as to conceal the scars as best as possible. Although scars can be visibly prominent in the months following your surgery, over time most patients find they fade significantly to become barely noticeable. Our clinics offer a special scar support protocol, which all of our gynaecomastia patients receive free of charge after their surgery to assist with their scarring. Fraxel laser and prescriptive topical treatments are also available, particularly for men who are prone to poor scarring. As with any surgery, it’s important to ensure that your surgeon is a qualified specialist plastic surgeon. You can check their credentials here. There are many reasons that gynaecomastia can occur, including increased estrogen activity, decreased testosterone activity and or the use of drugs or medications such as steroids. 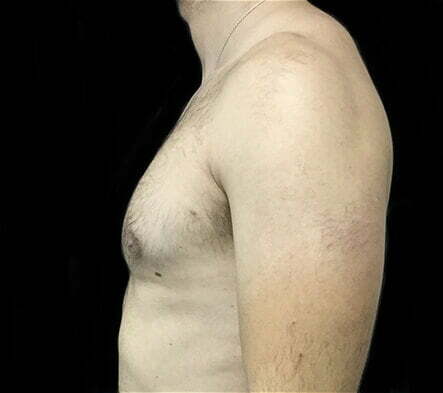 If the gynaecomastia is caused by hormonal imbalance, many young men grow out of it. Breast enlargement that affects men in adulthood can be caused by being overweight, hormonal imbalance or an underlying medical condition. There are no scientifically proven non surgical options to remove breast tissue; topical creams, laser, cryolipolysis or exercise won’t remove glandular breast tissue, although it is possible to remove fat with some of these methods. 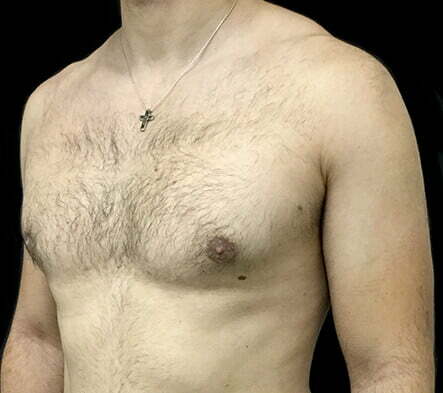 Want to discuss gynaecomastia surgery? We're here to answer your questions!